The TOCA Night of Champions and ITV’s Season Review enjoy equal billing this weekend (22/23 November) as the curtain officially comes down on the 2014 Dunlop MSA British Touring Car Championship. We will be honouring the racing stars and everyone involved in the biggest and best motor sport series in the UK during the annual TOCA Awards Night on Saturday evening, which takes place at the impressive Crowne Plaza Heythrop Park hotel. 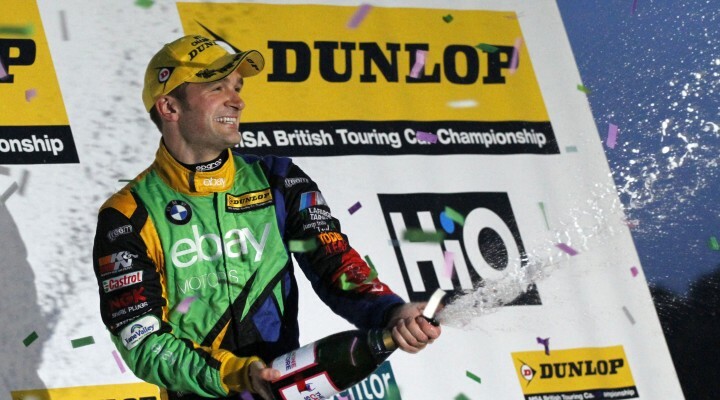 Race suits and energy drinks will be swapped for bow ties and champagne as Colin Turkington officially receives his championship trophy, as will all of the other champions on the TOCA package. Everyone will have just about enough time to nurse any sore heads before switching on their TV sets at 6pm on Sunday for ITV4’s full two-hour Season Review extravaganza. There you will see all the best moments from the season, both on track and off track, right up until Colin claimed his second BTCC title at Brands Hatch in October. There will be some all new and exclusive content too, including ITV’s trip to West Surrey Racing’s HQ to speak with the newly crowned champ.